Getting your Seaplane Rating with Ryan Aviation has never been easier! A Commercial or Private Seaplane add on is a two day course. It covers takeoffs and landings, taxiing on the water, reading the wind, determining safe landing areas and seaplane abnormalities. The ATP seaplan rating course requires 3-4 days due to the extra instrument time. Why Train On A Seaplane? It is an exciting way to experience what the early aviation pioneers went through when landing in fields never before landed on. They did not have wind socks or tower controllers informing of conditions. They relied on signs from Mother Nature. The same is true about seaplane flying; it gives you the freedom and adventure not achieved by land airplanes. The seaplane training and ultimately the rating teaches you how to read weather conditions that will ultimately lead you to a safe landing area. We have a variety of courses available, and prices vary depending on which seaplane you would like to fly and whether you are flying for fun or to earn a seaplane rating. 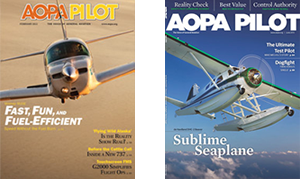 View our seaplane course pricing. When you sign up for a course, we provide access to our secure online training page to get you better prepared for your arrival on the first day.